“I would like to thank all parents here today for choosing Sunway and for your support, for sharing your children with us this year”, said Cheng Mien Wee, Director of Pre-University Studies, Sunway College at the 49th Commencement Ceremony for the Canadian International Matriculation Programme (CIMP). Tan Kai Chen who achieved the highest overall average at 98.33%, received 4 Subject Awards, one each for Biology, Business Leadership: Management Fundamentals, Chemistry and Mathematics of Data Management. 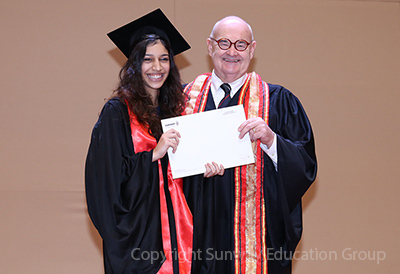 Asides from receiving her Ontario Secondary School Diploma, Tan also received the Nomination for 2015-2016 Governor General’s Medal for Academic Achievement, the Tan Sri Dato’ Seri Dr Jeffrey Cheah Entrance Scholarship and the Tan Sri Dato’ Seri Dr Jeffrey Cheah Scholastic Award. “Things will happen on this journey that you couldn't have prepared for with all of the planning in the world. When faced with challenges and pit falls, you will just have to get back up, dust yourselves off, and keep going. Just remember, there are many people who believe in you and have invested much in helping you succeed to this point in your life. 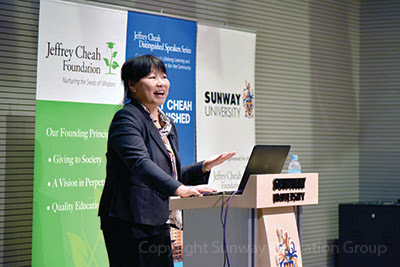 Now it is up to you to take advantage of what they have given you for the journey ahead,” said Dr Elizabeth Lee, Senior Executive Director of the Sunway Education Group and Sunway University to the students of the Australian Matriculation (AUSMAT) programme of Sunway College. Students celebrated their achievements with much joy and excitement at the AUSMAT Achievement and Appreciation Awards Ceremony 2016. 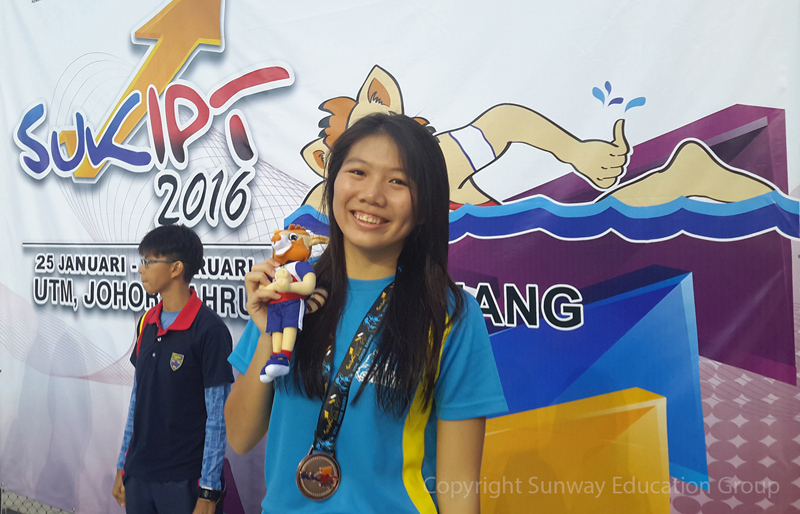 Students from Sunway University and Sunway College with total of 49 medals emerged as No. 1 IPTS (Institusi Pendidikan Tinggi Swasta) for the second SukIPT in a row! SukIPT is Malaysia’s largest university sports competitions and the 2016 edition, saw an active participation of over 8,000 athletes from 102 institution, including public universities, private universities, polytechnics and community colleges. Among them, 8 were Southeast Asia universities. The event were ran from 25th January to 5th February in Johor. Team Sunway garnered 17 gold, 17 silver and 15 bronze medals, finishing in overall 4th place and ranked as the top performing private institution. This achievement outshined its 2014 record of overall 5th place with 11 gold, 7 silver and 4 bronze medals. Yap Shi Qian embraced the spirit of fair play and request the result to be reversed. In the year of the Fire Monkey, the Jeffrey Cheah Distinguished Speakers Series will continue its aim to share knowledge and enlighten the Malaysian public. To kick start the year was a medical lecture on Gerontology, entitled “Is Age Modifiable? What can We Learn from Population Studies?” by Professor Khaw Kay-Tee. The lecture on 13 January 2016 saw an overwhelming turn out of over 350 attendees from diverse backgrounds, including pre-university and university students; doctors and nurses; non-clinical members of the public. Three Sunway students share their stories on how they ended up assisting a woman who went into early labour, deliver her baby at the Sunway Pyramid shopping mall on September 22 last year. 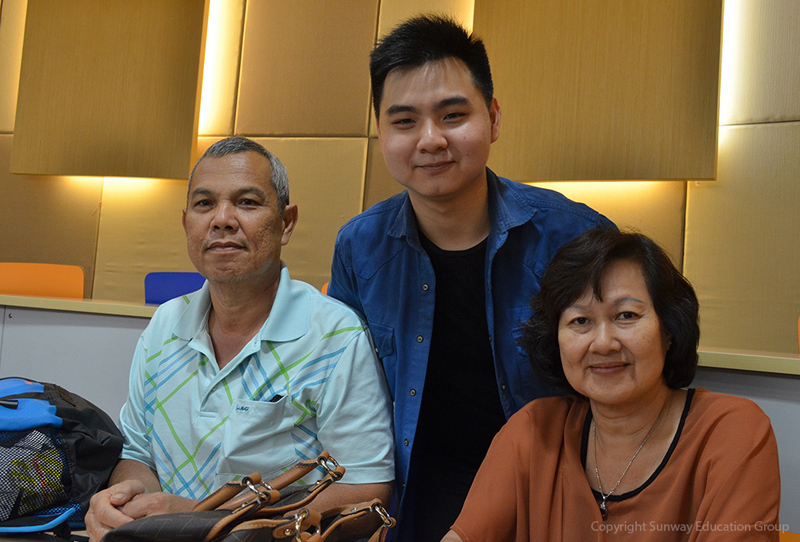 Shirley, a student from Sunway International School (SIS), was on her way back from the mall when she came across the pregnant lady, Siow Huey Quin (35) in obvious distress, who later informed Shirley that she was in labour. The girls with Mr and Mrs Kee and baby. 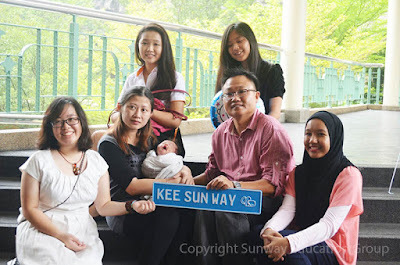 Sunway College’s A-Level programme celebrated its students’ achievement and success in the November 2015 Cambridge examinations at a recent tea party. Sunway College A-Level programme continues to shine with a 100% passing rate and a record 65% of students achieving straight As (3A*/As and above). “We are here to congratulate our students, parents and teachers for doing a great job,” said Dr Elizabeth Lee, Senior Executive Director of Sunway University and Sunway Education Group.